To be the first player to reach $1,000,000. Each player takes a pawn and places it on the “Imagination” space. Separate the cards based on the type, shuffle the cards and place the cards on the appropriate spaces on the game board. 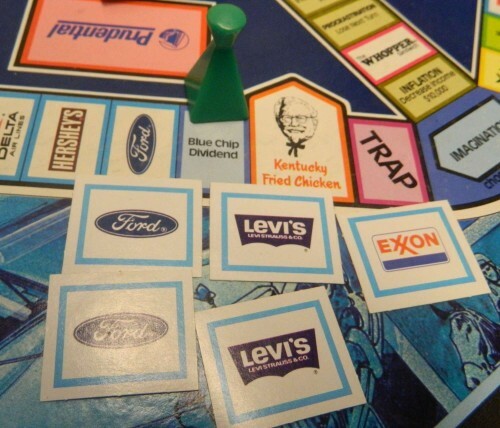 Separate the franchise and stock cards by company and place them into the tray. Each player gets $50,000 (2-$5,000 and 4-$10,000), one Prudential insurance card, one experience card, two American Dream cards and a salary recorder. Each player sets the dial on their salary recorder to $10,000. Every player rolls one die to determine who is the first player. Play then proceeds clockwise. 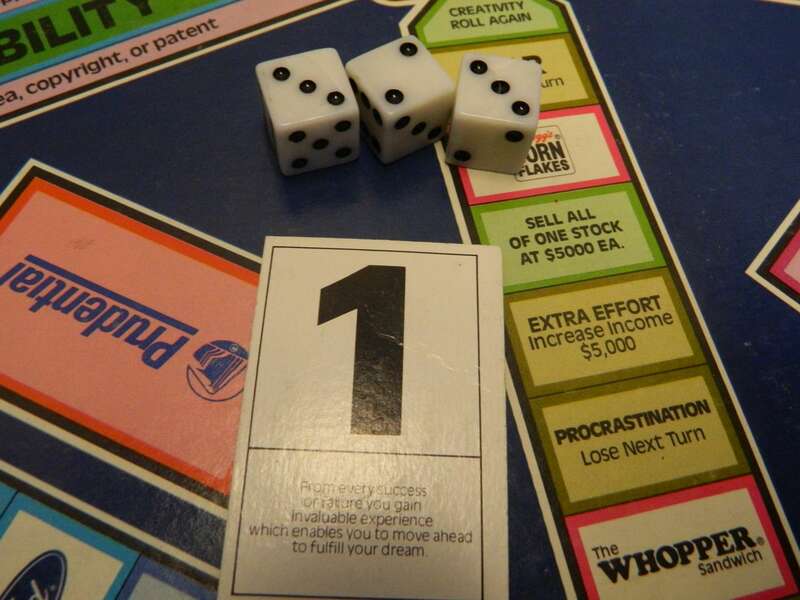 At the beginning of your turn you can choose to roll one, two or all three dice. Players can also use one or more of their cards to move instead of rolling the dice or they can add the spaces from an experience card(s) to the number rolled. Players move their pawn around the game board in a clockwise manner. On your first turn you may not move into the center section of the game board. While rolling the dice if a player ends up rolling doubles they increase their salary by $5,000. If a player rolls triples they increase their salary by $10,000. You should increase your salary on your salary recorder before moving in case you pass the “Imagination” space so you can collect your additional salary. The current player rolled an eight and played an experience card worth one. The player would get to move nine spaces. Since they rolled doubles they would also get to raise their salary $5,000. Whenever a player moves past the Imagination space, they will collect their salary as shown on their salary recorder. If a player decides to move into the center track as they pass the imagination space though they don’t receive their salary for passing the imagination space. The green player has landed on the Imagination space. They get their salary ($60,000) from the bank. If a player lands on any stock, franchise, or great ideas owned by other players; they don’t owe that player any money. While moving a player can enter the center track using the “Credibility” or “Flexibility” tracks if they meet the necessary requirements. The credibility and flexibility spaces don’t count as spaces but players can’t move back and forth through the paths on the same turn. The center paths are one way paths. The arrows at the end of the tracks don’t count as spaces but players follow the directions on the spaces when they pass them. If players meet the requirements for the credibility and/or flexibility paths they can use the paths in order to access the inner path. If a player lands on a trap space they must draw the top trap card. All trap cards are either insurable or not insurable. If a player draws a not insurable card they must do what it says on the card. If the card is insurable the player can choose to give up one of their insurance cards in order to avoid paying the penalty listed on the card. If the player doesn’t have an insurance card or doesn’t want to use it, they are forced to pay the penalty printed on the card. Here is a picture of two different types of trap cards. The top trap card is insurable so the player can play one of their insurance cards to prevent paying the penalty. 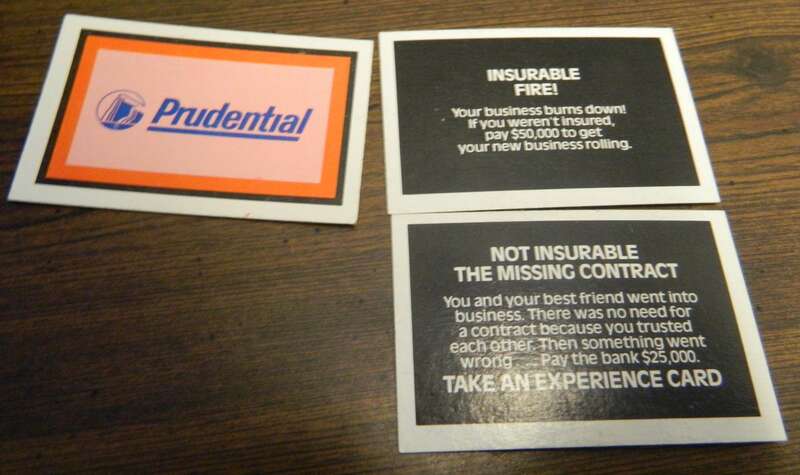 The bottom card is not insurable so the player has to pay the penalty. If a player is unable to pay the entire penalty printed on the card, they must keep the card in front of them until they are able to pay off the penalty. The player is unable to buy anything until they pay off the penalty. If a player gets an insurance card on a future turn they cannot apply it to a penalty that they have already drawn. All penalties are paid to the bank unless otherwise stated. When a player lands on a franchise space they have the option to buy a franchise card for that franchise if cards still remain available for purchase. The player pays $30,000, takes one of the cards for the franchise, and increases the salary on their salary dial by $10,000. 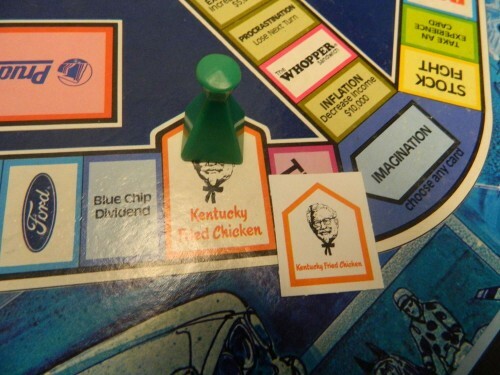 The green player has landed on the KFC space. If they pay $30,000 they get one of the KFC franchise cards and they raise their salary by $10,000. 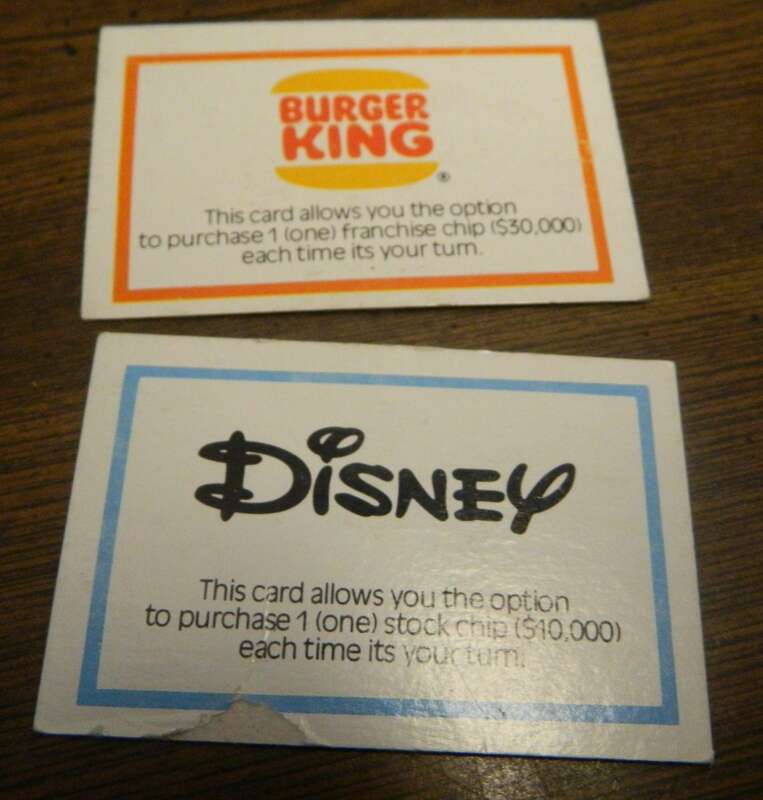 If you have an American Dream card that lets you purchase a franchise you are able to buy two franchises on your turn. Here are two of the American Dream cards that allow players to purchase one franchise of Burger King and one share of Disney stock every turn. These cards can be used in addition to purchasing shares/franchises that the player landed on during their turn. The player can only use one of these cards each turn though. If a player lands on a franchise that they already own, they receive $10,000 for each card they own of the franchise. If a player lands on a franchise owned by another player(s), the player owns no money to the player(s) that own one of that franchise. Franchises cannot be sold or traded. When a player lands on a stock space they have the option to buy one card of that stock if there are any available. The player pays $10,000 and takes one card of the corresponding stock cards. 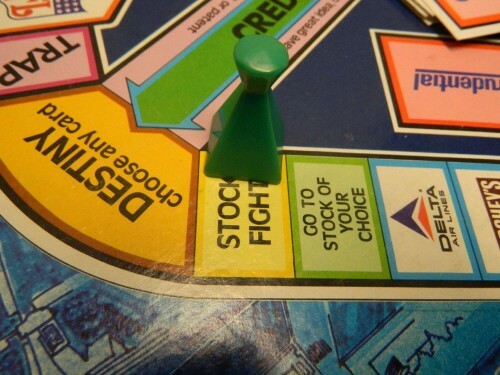 If the player has an American Dream card that allows them to buy another share of stock they can buy two shares of stock on their turn. The green player has landed on the Ford space. 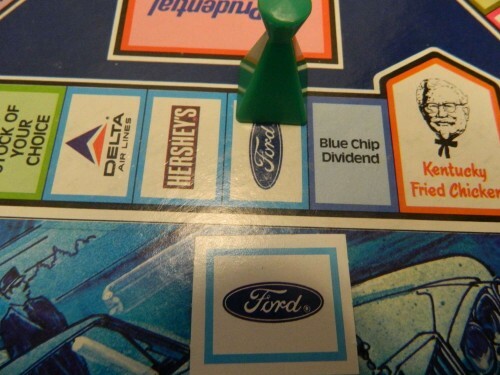 They may purchase one share of Ford for $10,000. When you land on a stock that you already own shares in, you receive $5,000 for each share of the company that you own. If you own all seven shares of a company you receive $70,000 total instead of $5,000 per share. Shares of stock can be sold at any time during your turn to the bank for $5,000 per card sold. When a player lands on a stock fight space they may (optional) start a stock fight with any player(s) that owns shares of a stock that the current player also owns. The current player is only allowed to choose one company. The player chooses which player they would like to challenge. The challenging player rolls two dice while the challenged player rolls one die. If the player who rolls two dice rolls a three and a four, their roll counts as a four. Whoever rolls the highest number gets to take one card of the company involved from the other player. The green player has landed on the stock fight space. They may start a stock fight with any other player that owns shares in the same companies as they do. If the challenging player was successful they can challenge the same player or another player for another share of the company. This continues until the player decides to stop challenging, they lose one of their challenges, or none of the other players own any shares of the company that is being challenged. Some of the American Dream cards have patents or copyrights printed on them. Players keeps these cards face down until they are able to claim the patent or copyright. To claim a patent the player has to land on the patent office space. To claim a copyright the player has to land on the copyright office. 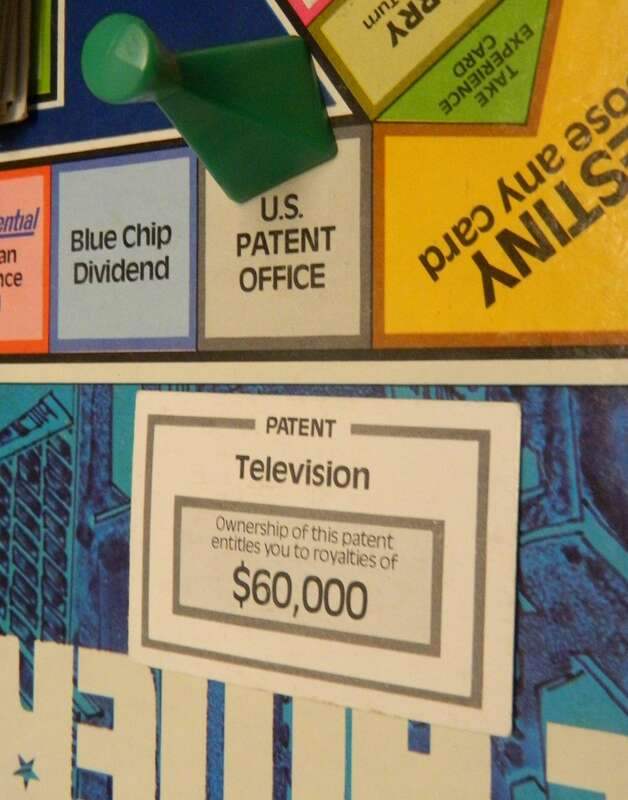 When the patent or copyright is claimed the player is paid the amount listed on the card. On any future turn they land on the appropriate space (copyright office for copyright or patent office for patent) they receive the amount printed on the card again. 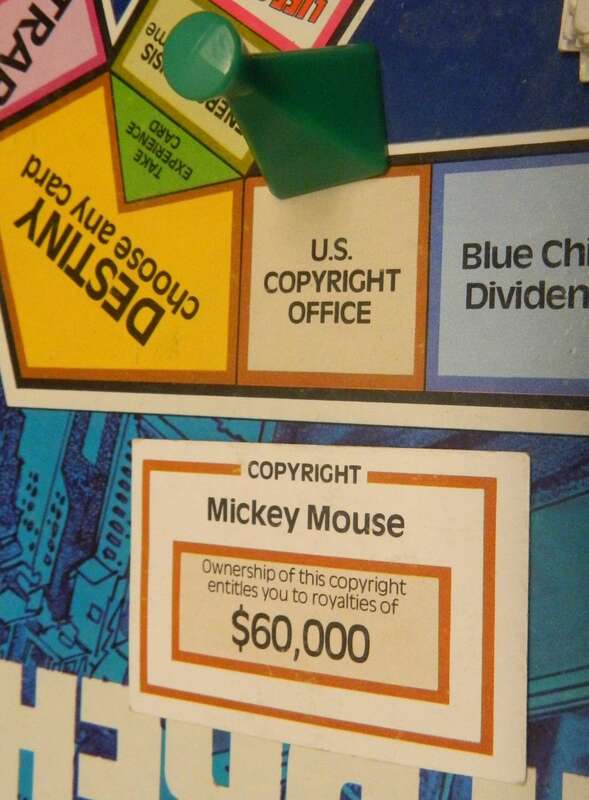 Since the player landed on the copyright office space, they can claim their copyright and get $60,000 from the bank. The green player has landed on the patent office. This allows them to claim the television patent and receive $60,000 from the bank. Every patent and copyright card has two cards in the deck. Since only one person can own each patent and copyright, once someone claims the copyright or patent the other card becomes worthless. 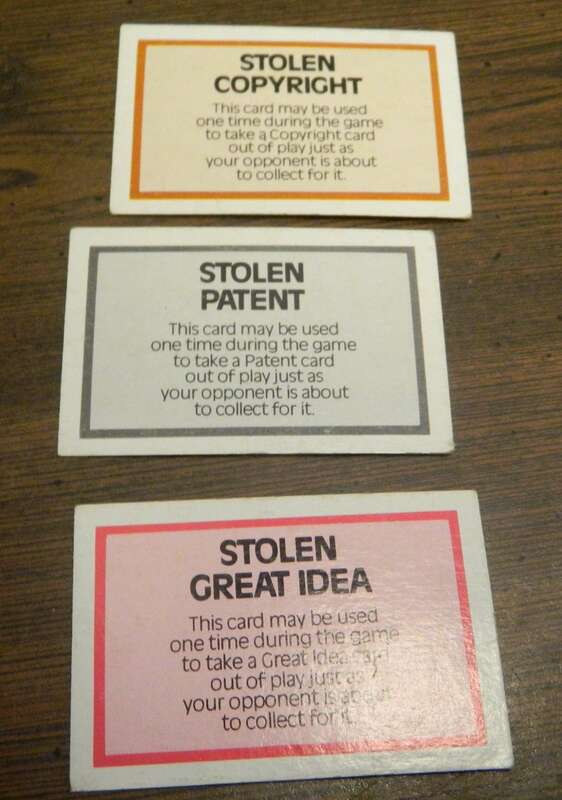 When a player tries to claim a patent or copyright, any player can play a “stolen” card that matches the type of card that is trying to be claimed in order to prevent the card from being claimed. The stolen card and patent/copyright card played are both discarded. Here is a picture of the three different types of “stolen” cards. A player can prevent a player from claiming a copyright, patent or great idea by playing the associated card. Some of the American Dream cards are great ideas. Players keep great idea cards face down until they land on the corresponding space on the game board. When a player lands on the corresponding space they can claim the great idea which gives them the money printed on the card. Once you have claimed the money for the great idea, the player can make no more money for the idea even if they land on the space again. The green player landed on the Hershey’s Kisses space. Since they had the Hershey’s Kisses great idea card they can claim the idea and receive $100,000 from the bank. Just like with patents and copyrights there are two cards for each great idea. The first person to claim the great idea gets the reward while the other card becomes worthless. A player can prevent another player from playing a great idea card by using a “stolen” great idea card which discards both cards from the game. 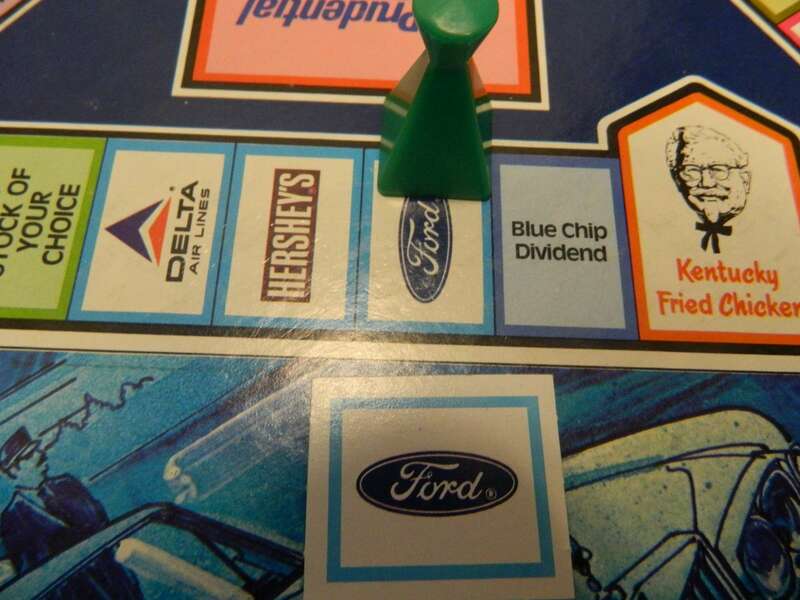 The player has landed on the blue chip dividend space. Since the player owns five shares they would receive $25,000. Blue Chip Dividend: The player receives $5,000 for every stock card that they own. Go To Stock of Your Choice: A player can move to any stock space of their choice. The player has the option to purchase that stock as well. If a player moves past the Imagination space they do NOT collect their salary. American Express: A player that lands on this space can move to any space they want on the game board. If they pass the Imagination space they do NOT collect their salary. Here are the ways you can increase your salary up to the maximum salary of $155,000. When a player thinks they have accumulated $1,000,000 they tell the other players and then count up their money to verify. Players can sell their shares of stock ($5,000 each) if necessary to get over $1,000,000. If the player has more than $1,000,000 they will win the game even if another player actually has more money then them. If the player doesn’t have $1,000,000 the game proceeds as normal. Due to the success of Monopoly many companies including Milton Bradley, Parker Brothers and many others have tried to repeat the success of Monopoly by developing their own business themed board game. Many of these games were Monopoly clones or just terrible games in general. Other games were actually pretty good but never became popular for one reason or another. Today I am going to talk about one of the later games, The American Dream game made by Milton Bradley in 1979. While The American Dream Game is not a great game, it is actually an interesting little roll and move game that is actually considerably better than Monopoly in quite a few different areas. The main thing I like about The American Dream Game is that while it still relies pretty heavily on luck, there is actually a lot of decisions in the game to make that lead to some strategy. The goal in the game is to make money and there is actually quite a few different ways to make money in the game. You can purchase franchises which give you money when you land on them in future turns and also increase your salary. There are stocks which are cheaper than franchises that give you money any time you land on the companies space or a blue chip stock space. 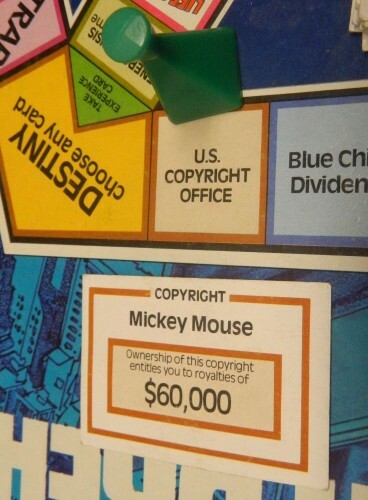 The game also includes copyrights and patents which make you money every time you land on the associated office space. You can also make money from landing on great idea spaces. Finally like every other roll and move game you can make money by passing the Imagination space (aka the “Go” space) and get paid your annual salary. I love games that give players a lot of options and The American Dream Game does a great job at giving players different options to earn money to win the game. I also like that these methods of receiving money are based in reality and could actually teach children about business/investing. While the game does take some liberties on how investing/business works, I give the game credit for teaching children the basics of different ways of owning businesses and investing and how you can make money off them. In particular I liked the rules regarding the patents and copyrights that show that patents/copyrights are given to the first person who submits it to the patent/copyright office. Strategy wise all of these different options have value in the game. Franchises are good at increasing your salary and give you the option of making money if you land on the space again. They cost a lot though. Stocks are cheaper but don’t raise your salary or give you as big of payoff. It is much easier to get a payoff from your stock though. Copyrights and patents don’t seem to pay off a lot but they don’t cost you any money so you don’t have much risk with them. Finally the big ideas give you a lot of money but only pay out once. Usually your strategy in the game will be forced on you based on what spaces you land on but at least you have many different ways to make money in the game. For the most part they seem pretty balanced to the point that you could probably win using any of the different ways of making money. One of the keys in The American Dream Game is flexibility. The game has a lot of flexibility built in with players being able to roll one, two or three dice. There are plenty of situations in the game where you would want to use one two or three dice. In addition you can use experience cards to alter your movement. At times players might get too much flexibility since you could actually be in a situation where you can move to four or more spaces on one turn. Flexibility is huge in the game and the players that get the most flexibility have a big advantage in the game. Getting the ability to use the additional paths to enter the center section of the game board is huge since it gives you a lot of flexibility on how you can use your roll. Once you open up the center paths you could end up choosing from four or five different spaces to land on with a single roll. This gives a player a big advantage in the game since it means they can maximize every turn and avoid negative spaces. 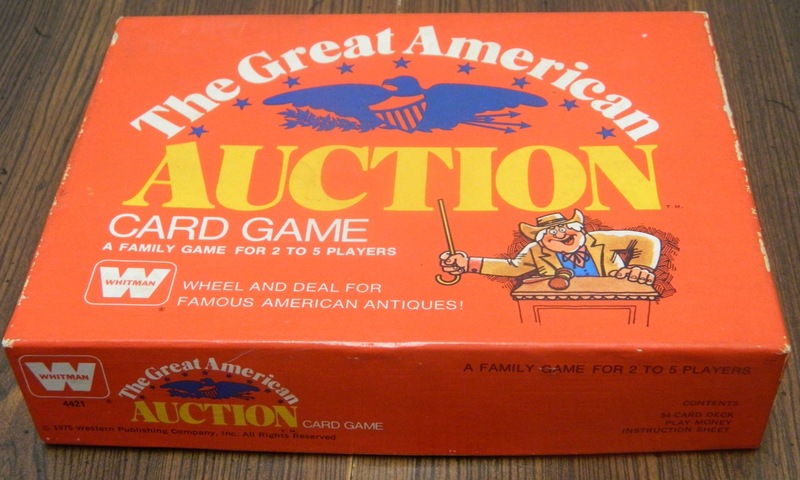 Another key in The American Dream Game is to get as many American Dream cards as possible. American Dream cards are the most valuable things in the entire game especially since a lot of the cards are kind of rigged in my opinion. The cards that let you buy additional shares of stock and franchises in particular are really powerful since it lets you build up your portfolio without having to land on specific spaces. If you get one of these cards early you will likely be able to purchase all of the shares of a company before any other players are even able to buy a single share. The other American Dream cards are also valuable since all great idea, patents, and copyrights come from the American Dream card deck. I would recommend that players try to get as many American Dream cards as they can since all of the cards are really valuable outside of patents, copyrights, and big ideas that have already been claimed. While the American Dream Game borrows quite a bit from Monopoly it actually improves on the game. It has a lot more flexibility which means that the game has more strategy. The game has more mechanics which makes it a little more complex than Monopoly but the rules are really easy to pick up once you start playing the game. The American Dream Game is not perfect though. It is a roll and move game after all which means that it has many of the same problems that most roll and move games suffer from. The game has a high reliance on luck. From the numbers you roll to the cards you draw, luck will have an impact on who wins the game. Another big problem I had with the game is that it just takes too long to complete. At a minimum I would say the game takes an hour to complete with some games taking up to an hour and a half. 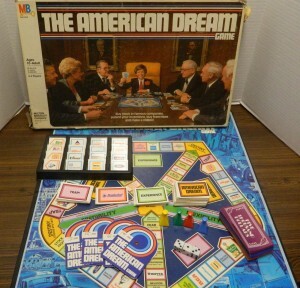 The American Dream Game is more of a 45 minute type of game though. Even though thematically it makes sense for the players to play to $1,000,000; I think the game would be better served to play to $500,000 or $750,000. If the game was a little shorter I think it would have earned at least another half star in my final rating. Another issue with the game is the fact that the game has a runaway winner problem. Generally the rich become richer and the poor get poorer. Players who get out to an early lead have a distinct advantage in the game. If you fall pretty far behind it is very hard to catch up. With the game taking longer than it should, this becomes an issue for players that fall too far behind and don’t have much of a chance to catch up. The game’s theme is pretty interesting. The game is filled with advertising everywhere. Pretty much every part of the game that could be branded is branded. All of the stocks and franchises are real businesses. 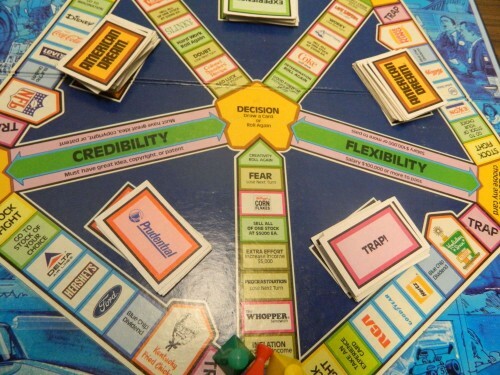 All of the patents, copyrights and big ideas are associated with the businesses included in the game. Even the insurance cards are branded. In some ways I like all of the real companies in the game since it makes the game more realistic. The constant branding/advertising is kind of annoying as well though. I do have to say that the game does have some areas where the theme kind of fails. For example the NFL would never allow a person to own several different franchises in the league. While there are stock fights in business they don’t work at all like they do in The American Dream Game. Also unless you have the strangest boss in the world or you work at a casino, I really doubt you can get a raise in the real world by rolling doubles or triples regularly. Component wise the game is like most 1970s and 1980s Milton Bradley games. None of the components are spectacular or terrible. The game board is kind of bland but is easy to navigate. The other components serve their purpose but don’t really add anything to experience. 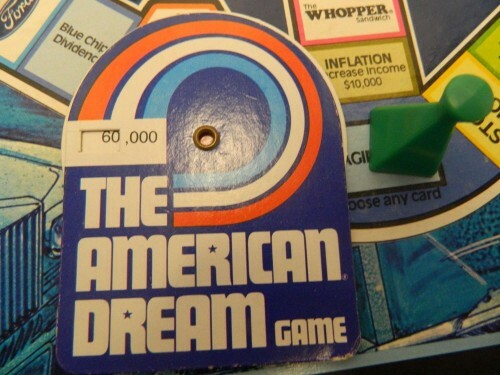 Even though a lot of people might dismiss the game as a Monopoly ripoff, I have to say that The American Dream Game is better than Monopoly in pretty much every way. What I like about the American Dream Game is that it gives you options which allows you to implement some strategy in the game. Luck plays a big factor in who wins but since you have plenty of decisions to make it feels like your decisions actually have an impact on the game. I just wish the game was a little shorter and relied a little less on luck. 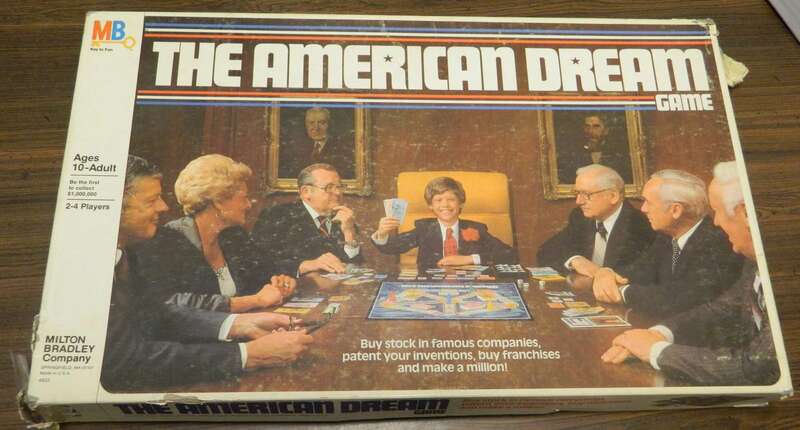 If you hate roll and move games you are not going to like The American Dream Game either. If you are looking for a good roll and move game though and The American Dream Game sounds interesting to you I think you could have quite a bit of fun with the game. If you would like to purchase The American Dream Game you can purchase it on Amazon here . An interesting twist on Monopoly. Has plenty of opportunities to make money which give players plenty of choices to make.